Follow suit and give two-piece sets a try this season. I tested out a stripe version in Rosemary Beach and have to say – I love it! As a Florida gal, I’m not one to jump on board every fall / winter trend that comes along. The weather doesn’t usually allow for sweaters, boots and extra layers since we’re typically in extended summer mode until November. But one trend I’m loving this season is the return of the power suit. There’s something so cool and classic about a coordinated top and bottom that comes off polished and put together. It’s not every day that I need this level of chic, but when it works, it works fabulously. 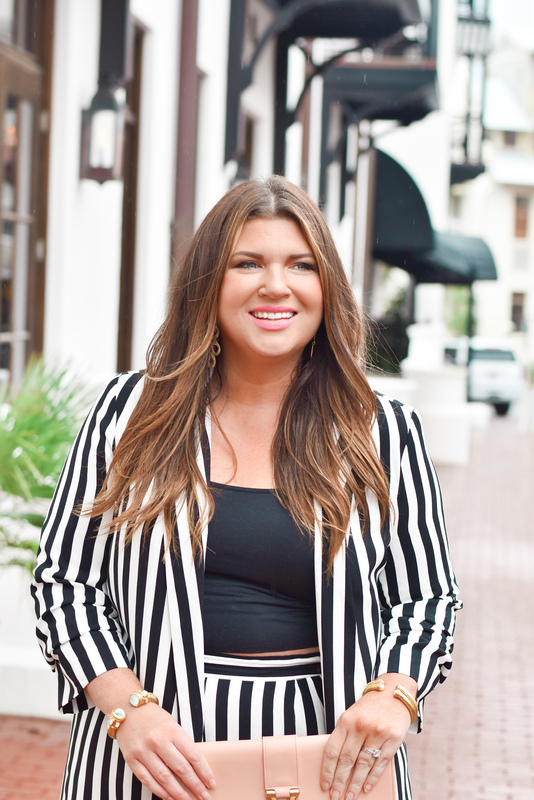 Here I’m styling a striped black and white set and also rounding up affordable favorites from around the web from shops like Asos, J. Crew, Shopbop and more. Be sure to scroll through the shoppable widget to find suits in a variety of fabrics and silhouettes. I’ve got floral print, velvet, classic black and pretty pastel tones that I have my eye on next. 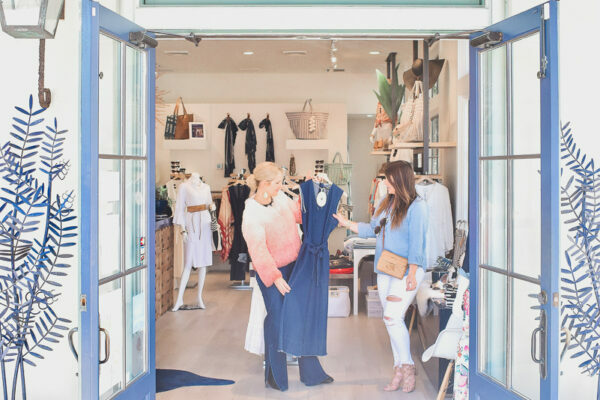 Find my full 30A guide right here. Each product I feature has been hand-selected and reviewed. If you make a purchase using the links included, I may earn commission.